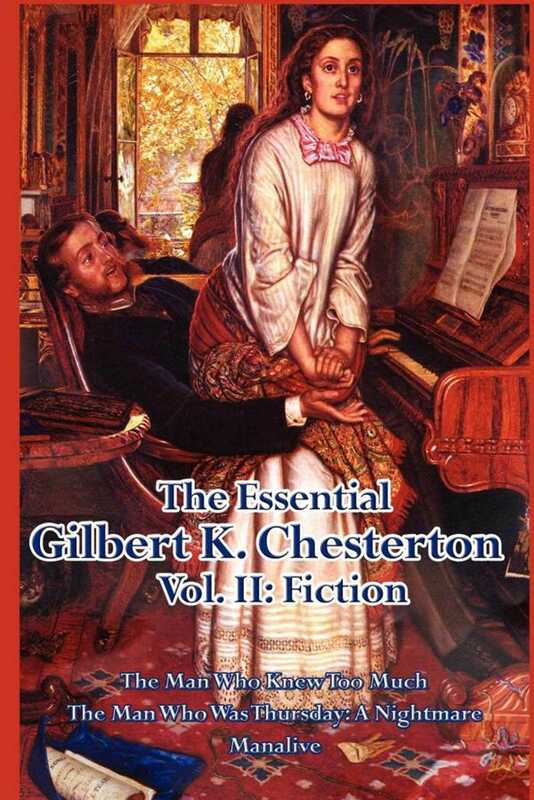 Collected here, in one volume are Gilbert K. Chesterton¿s most influential works of fiction. Harold March, the rising reviewer and social critic, was walking vigorously across a great tableland of moors and commons, the horizon of which was fringed with the far-off woods of the famous estate of Torwood Park. He was a good-looking young man in tweeds, with very pale curly hair and pale clear eyes. Harold March was the sort of man who knows everything about politics, and nothing about politicians. He also knew a great deal about art, letters, philosophy, and general culture; about almost everything, indeed, except the world he was living in. In The Man Who Was Thursday we are transported to a surreal turn-of-the-century London, Gabriel Syme, is recruited to a secret anti-anarchist taskforce at Scotland Yard. Syme manages to infiltrate the anarchists and becomes a local representative to the worldwide Central Council of Anarchists. The Council consists of seven men, each using the name of a day of the week as a code name; Syme is given the name of Thursday. In his efforts to thwart the council's intentions, however, he discovers that five of the other six members are also undercover detectives; and they must chase down the disturbing and whimsical man who calls himself ¿The Peace of God.¿ In Manalive we follow the madcap adventure of Innocent Smith. Innocent Smith is a man who keeps the commandments but breaks all the conventions, and while doing so he shows us just how absurd those conventions are. Follow him as he breaks into his own house, and then carries on a torrid affair with his own wife. Enjoy a picnic on the roof and then leave home just for the sake of returning home. A joyous and uplifting book.